Reach out to us today for all of the information you need to make the most of your visit to Cadillac. The Explore Cadillac Blog is a great resources for learning how to make the most of your Cadillac experience. Maybe you have your own story to share or expertise to impart for our readers? We would love to hear from you. Reach out to us with your story idea today!  Do you have an event in the Cadillac Area you are interested in having us promote on our CadillacMichigan.com tourism website? We may be able to help. Please submit your event details to our staff and we may be able to help you promote your event to the tourism community. WHAT IS THE POPULATION OF CADILLAC? HOW MUCH SNOWFALL DOES CADILLAC RECEIVE? According to the Wexford County Road Commission, 135″ is the average. The year 2010-11 snowfall was 171″. The winter of 2009-10 we had a record 273″! HOW MANY LAKES SURROUND THE CADILLAC AREA? Cadillac is surrounded with 94 lakes and over 1,000 miles of streams. WHAT KIND OF FISH ARE IN LAKE CADILLAC AND LAKE MITCHELL? Lakes Cadillac and Mitchell have large populations of a variety of sport and pan fish including Walleye, Crappie, Bluegill, Sunfish, Perch, Bullheads, Largemouth and Smallmouth Bass. Together, Lakes Cadillac and Mitchell offer 3,700 acres of prime fishing habitat. WHAT WAS CADILLAC'S PRIME INDUSTRY AND WHAT IS IT NOW? Lumber was the prime industry in the late 1800’s brought forward by the Shay Locomotive and the Clam Lake Canal which connects Lakes Cadillac and Mitchell. The main industrial products from Cadillac, today, are Four Winns (manufacturers of fiberglass and laminated boats), Cadillac Castings Inc. (manufacturers of ductile iron castings for the automotive and truck market), and Avon Rubber (manufacturers of rubber for automotive industry). There are many other industries in the Cadillac area making a very successful industrial base. See City of Cadillac and the Cadillac Chamber of Commerce site for additional industrial information. WHERE ARE THE ORV TRAILS? There are a few ORV Trails around the Cadillac area but please contact the Cadillac DNR for maps and regulations. The Cadillac DNR can be reached at (231) 775-9727 or on their website at www.michigandnr.com. The DNR Cadillac office is located just south of Cadillac on Mackinaw Trail. Learn about ORV/ATV trails in Cadillac on our ORV/ATV page. IS THE CANAL BETWEEN LAKES CADILLAC AND MITCHELL REALLY MENTIONED IN RIPLEY'S BELIEVE IT OR NOT? Yes, the canal is “the eighth wonder of the world”. The reason is because the canal freezes before Lake Cadillac and Lake Mitchell. As soon as Lake Cadillac and Lake Mitchell freeze though, the canal thaws! IS DOG SLEDDING (MUSHING) PERMITTED? Yes, you may dog sled (mush) on all public land. This includes groomed snowmobile trails but not cross country ski trails. WHAT IS THE HISTORICAL MARKER TOUR? The historical marker tour is recognized by the State of Michigan’s Bureau of History and has many sites throughout the Cadillac area. Historical markers have been placed to identify the site and to explain its significance. Sites included are the Wexford County Historical Museum, the Charles T. Mitchell House, the Cobbs-Mitchell Office, the Shay Locomotive and the Cobbs-Mitchell Mill #1. Other sites are the Clam Lake Canal, Caberfae Peaks Ski & Golf Resort, the first Wexford County Courthouse and the Battle of Manton. Maps of the tour can be picked up at the Cadillac Area Visitors Bureau, the Wexford County Museum and can also be found in the Cadillac Activities and Entertainment Guide. WHAT IS THE CARL T. JOHNSON HUNTING AND FISHING CENTER? It is named for the founder of the Michigan Conservation Foundation who is a life-long supporter of hunting and fishing. The spacious lobby features an information counter, marsh diorama and a wall size aquarium stocked with Native American fish. The center also has an auditorium featuring an impressive 12-minute multi-media show conveying the role sportsmen and women have had in preserving and restoring Michigan’s wildlife and fisheries resources. The center is located next to the canal on M-115 and they offer group tours and guided hikes. For more information, contact the center at (231) 779-1321. Our Office is open 9-5pm, Monday – Friday and occasionally during a festival. Please stop in to see us! We like to call ourselves the ‘office of hard work and super FUN’ – daily we engage with the community and travelers looking to come to our area for vacation, meetings, and family. Though we do not have any current employment opportunities, this will be where we do post opportunities that are available, so check back with us. Also, if you are passionate about Cadillac and would like to become a member of our volunteer corp, please reach out to us. There are frequent events and opportunities for you to help out in many different ways. So whether you have just a couple of hours to spare, or want to roll up your sleeves and help from start to finish, we have great ways for you to get involved in promoting the city we love! Reach out to learn about our Certified Explorers program. The Cadillac Area Visitors Bureau – Summer Internship focuses one college level student going into their Junior year or older on 3-4 great resume building projects all summer long. If you are a Marketing, Public Relations, Journalism or Business Major. DUE: February 1, 2019. Note: Please follow the submission requirements as noted in the solicitation below.